There are a plethora of options to pick materials and textures for architecture nowadays, and even with all the online libraries at our disposal it is hard to find some particular surfaces everyone in a while. For that reason, it is also a great idea to collect all free resources and grow your personal library. 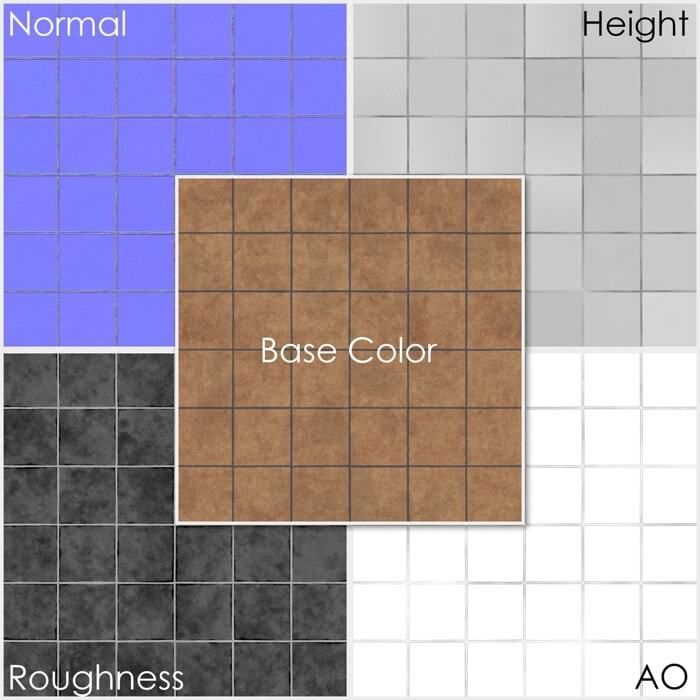 Do you want to download a free floor tile PBR material for your collection? An artist called Ruslan Bordyug, posted on his Gumroad account the file that could help in a lot of architectural visualization projects. The floor tile PBR material has all necessary maps to craft a realist surface for either Cycles, Eevee, or any other renderer supporting PBR. In the Shader Editor of Blender you can mix all those maps to create a realistic floor tile material. Where is the Shader Editor? If you are still using Blender 2.79 you will recognise the Shader Editor as Node Editor. Most of the options still works the same, only with a new name. The maps are available as both JPG and TGA. What about the license? The author doesn't specify the license, but he makes it clear that you can use the PBR material in your projects. He doesn't mention anything related to sharing or redistribution.